Chamilia presents this beautiful Eternity stacking ring! 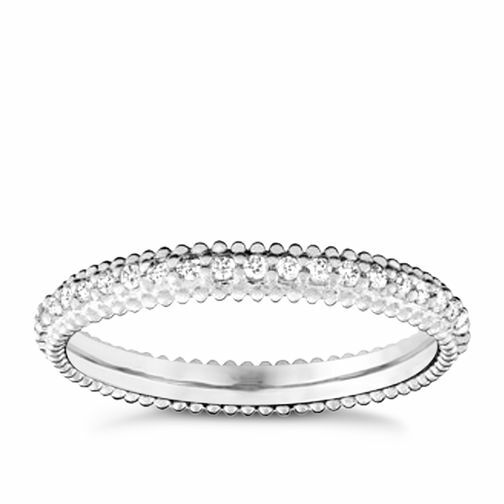 Crafted from sleek sterling silver, this band style ring is set with a row of shimmering White Swarovski Crystals for stunning sparkle and is finished with milgrain charming. Wear alone or stack them high, create a style that's totally unique and be inspired with Chamilia stacking rings. Size large.